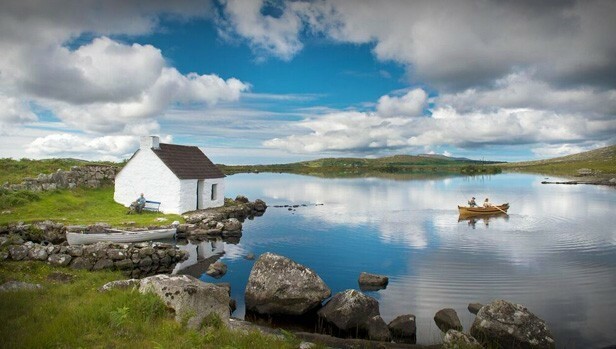 The Screebe Fishery in Connemara is situated at the top of Camus Bay and six miles due south from Maas Cross. It consists of an interconnecting series of sixteen loughs and, while one might be tempted to conclude it is a lough fishery, there are five bank beats too known locally as “Butts”. With the exception of the River Beat, the others are short but on their day, they can be as productive of salmon as many a beat a mile long. The Salmon Pool at the top of Screebe Lake is one of the best salmon pools in the west of Ireland. The wild salmon run is augmented every year by the release of 50,000 smolts reared on the Screebe hatchery. 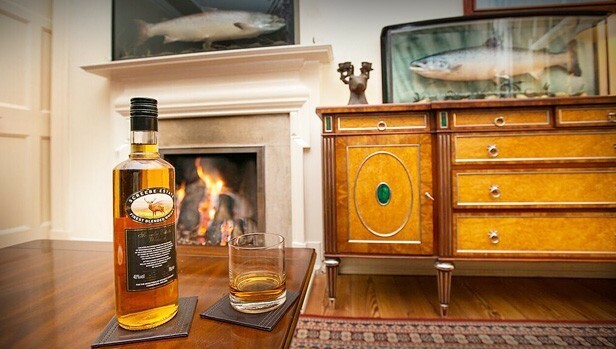 The fishing gets a run of spring salmon, which are usually taken on the Salmon Pool and the grilse run peaks in July. For the angler seeking the solitude of a wilderness experience, there are few places to match Screebe for exploring hill lough full of wild brown trout. 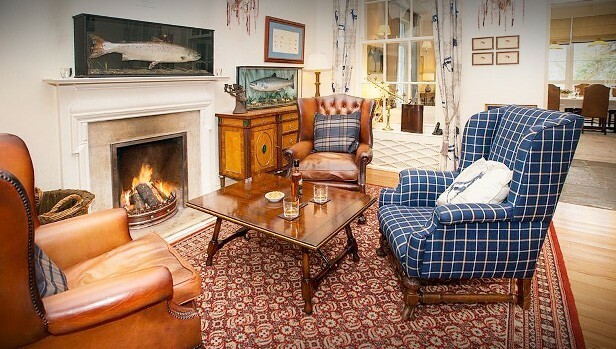 Located on the wild Atlantic coast of Ireland, this Victorian fishing lodge built in 1865 has long been famous for its hospitality, comfort and fine cuisine. This beautiful house boasts a large terrace and wonderful landscaped gardens offering a magnificent view over Camus Bay with its own original harbour. 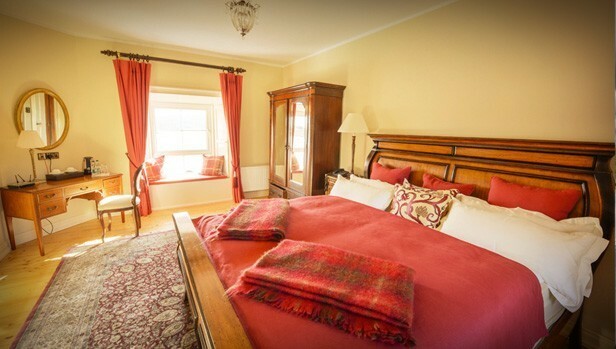 The house has been family owned for many years, which is reflected in the careful attention to detail; all of the rooms are individually furnished with exquisite antique interiors. It was originally built as a hunting/fishing lodge by the Berridge family ( Ballinahinch Estate) in 1865, although a house stood on this site since 1847. 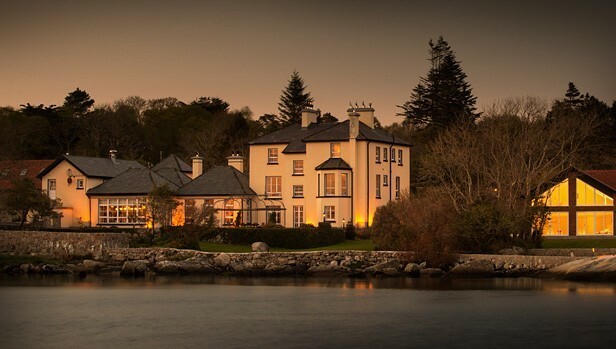 Screeb House is located in an enchanting natural setting in the Connemara region, overlooking an inlet from the Atlantic Ocean and surrounded by countless lakes, rivers, imposing mountains, moors and forests. In 2010 the house was thoroughly renovated and brought back to its former Victorian glory. Screebe presents luxury accommodation with sumptuous comfort. With six double rooms, one twin and one single – all with en-suite – it offers sleeping accommodation for fifteen people, plus a two twin bedroom apartment. The house has a landscaped garden, which can be used for receptions, celebrations, conferences etc.